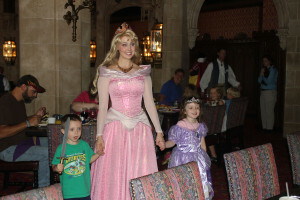 This is a followup to the “Monetizing the Princess Video” post discussing the Princess Breakfast YouTube video I posted and then monetized with Google Ads. 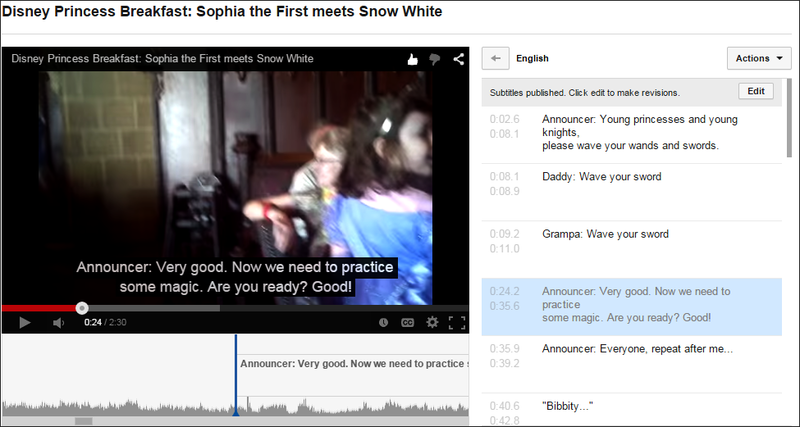 Six months after it went live, the video received a Closed Caption / audio transcription for the English Language. I started this process by reaching out to an audio transcriber on Fiverr.com, who specialized in documenting audio from YouTube videos. I began this project by selecting a transcriber on Fiverr, paying for the job and letting them know what I needed. That took about fifteen minutes. The person I selected had a finished Word doc transcription for me in less than an hour. 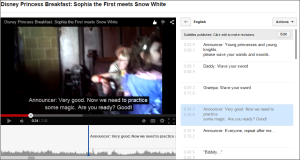 I downloaded and opened the text file, and also opened my YouTube video in edit-mode, to begin the transcription. I chose the 2nd option, as I do not have special software to create a transcription file, and was merely working off of a Microsoft Word doc. I uploaded my Word doc which the YouTube site then analyzed; the text-analyzing process took about twenty minutes, for 2.5 minutes of audio/video that it needed to sync up to. Once the text was analyzed, YouTube matched the text/Closed Captioning up to my video as best as it could, but there was a lot of massaging to do. This could be in part to my Word doc not being formatted correctly, (e.g. I did not reference any time-code in my word doc, but I noticed that time-code was added when YouTube spit it out), or the fact that the spoken words in the audio are difficult to make out in my video (busy Disney dining hall, announcer/music/excited families all competing to be heard). As of December 30th of 2014 – the video had 2,089 views. Now five months later, the video has been viewed 2,625 times – not a significant increase after the closed captioning, but a steady rate of views, all the same.